The STRiDE project’s full title is Strengthening Responses to Dementia in Developing Countries. The project will run for 4 years -it launchedin 2018and will end in December 2021. The project is funded by the UK Research Council -Global Challenges Research Fund. What is STRiDE aiming to do? Through the project we hope to contribute to improving dementia care, treatment and support systems in South Africa, so that people living with-or caring for persons with dementia do not shoulder the excessive costs, risk impoverishment or compromise their own health. We have three primary objectives: (1) building capacity in generating and using research evidence and tools to support policies for improvement of dementia care, treatment and support; (2) increasing research evidence on what works in dementia care and support in developing countries; and (3) improving understanding of the impacts of dementia in various contexts to help countries develop appropriate responses. The findings from the research project will provide good evidence from which develop or refine national plans for dementia, including in South Africa. The project is led by the London School of Economics and Political Science in partnership with the University of Cape Town, Brighton and Sussex Medical School and Alzheimer’s Disease International (ADI). Alzheimer’s South Africa (ASA) and the Alan Flisher Centre for Public Mental Health at the University of Cape Town (UCT) are the 2 organisations running the South African STRiDE work. The lead PI at UCT is Margie Schneider with Crick Lund, Sumaiyah Docrat, Erica Breuer and Roxanne Jacobsmaking up the team currently, and works in partnership with Petra Du Toit, Executive Director of Alzheimer’s South Africa (ASA). Roxanne Jacobs is the South African Early Career Researcher. Alzheimer’s SA NPC is the local chapter of Alzheimer’s Disease International, the international federation of 90 Alzheimer associations around the world. The vision of ADI is “prevention, care and inclusion today and cure tomorrow”. 3. Training of caregivers, family members, personnel of care centres and other interested parties. The company has a National Office in Johannesburg and 9 regional offices where services are coordinated, planned and rendered to support people living with dementia, their caregivers, families and communities. ASA NPC is proud to be part of the STRiDE programme, as we share the aim of “improving dementia care, treatment and support systems so that people living with dementia are able to live well, and family and other carers do not shoulder excessive costs, are put at risk of poverty or negatively impact their own health”. The main roles of ASA NPC are building support amongst stakeholders, ensuring the voice of people living with dementia and their carers are included and that policy makers are engaged in the work we are doing. Most people with dementia (62%) live in low and middle income countries, with limited services (e.g. medical, social and financial support) to address the demands of dementia. South Africa desperately needs a national dementia plan to address the challenges of dementia now, but also in the near future. Governments need to promote infrastructure and accountability necessary to build dementia-capable programmes for the growing number of people living with dementia. ASANPC will play an active role, in collaboration with ADI and STRiDE, in the implementation of a National Dementia Plan for South Africa. As a company who works with the challenges of dementia for individuals, families and communities policymakers level, Alzheimer’s South Africa NPC would like to see research turning into policy. Being part of the STRiDE programme could turn this dream into reality to the benefit of the people we serve. What is the structure of STRiDE? STRiDE will achieve its objectives through ten work packages (WPs) – one on developing a Theory of Change for STRiDE and developing national dementia plans, 1 on Capacity building with a focus on the Early career researchers, 3 pieces of primary data collection, 2 reviewing existing information to describe the situation in each country and identifying effective intervention for dementia in developing countries. One work package is about working with stakeholders and is the primary responsibility of ADI, and the last 2 are about overall management and knowledge translation. For the overall project: The STRiDE project was launched in London in March 2018 where the seven participating countries met for a series of workshops for introductions, project Jacobs making planning as well as training for upcoming work package events. 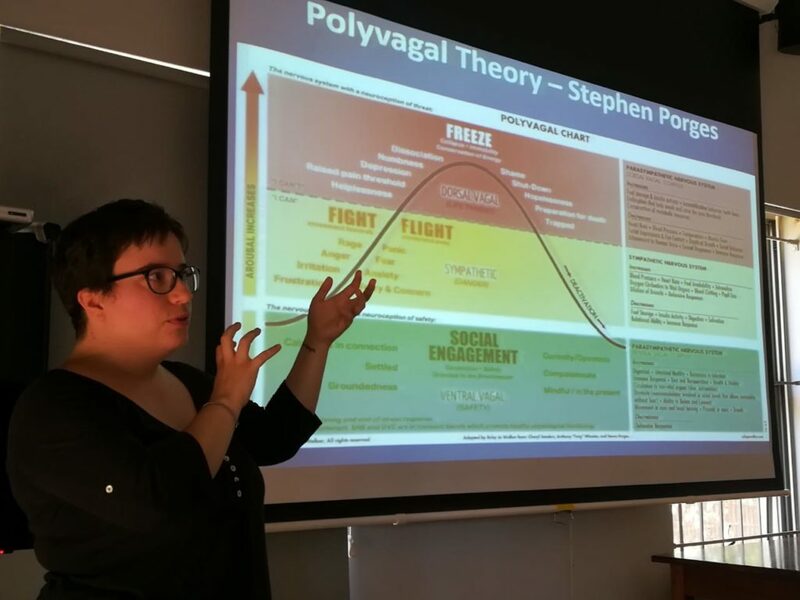 For the South African component: For the project’s first year, we are pleased to report on the successful engagement with stakeholders and policymakers at the study’s Theory of Change workshop (ToC) held 12-13July 2018, with a total of 22 participants ranging across private-, public-and the non-profit organisation sectors. 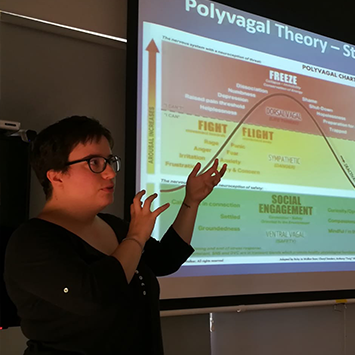 Live debate and a critical appraisal of the country’s needs, skills, and resources resulted in the developmentof a detailed and country-specific Theory of Change (ToC) to improve the care, treatment and support for persons with dementia and their families in South Africa. The South African team has also constituted a multi-disciplinary/multi-sectoral Advisory Group to provide oversight and guidance throughout the research process. 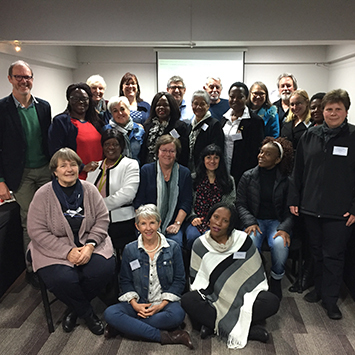 At their first meeting on 22 October 2018, the UCT team has successfully engaged the Advisory Group on various issues, including the identification of risk factors for dementia in South Africa, in support of the project’s ongoing Situational Analysis. Both the ToC workshop and the Advisory Group meeting enjoyed the active participation of persons with dementia and carers, as group/committee members, providing discussions with a unique lens on issues relevant to the experience of living with and caring for persons with dementia. The project is looking forward to commencing data collection for its qualitative components (i.e. Stigma as well as for the Situational analysis) during the first half of2019and is in the process of obtaining all relevant ethical clearances. 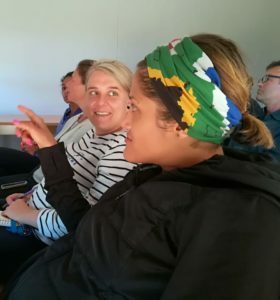 The STRiDE project is currently working on a review to provide insights into possible interventions that would be appropriate and feasible within the South African setting. Get involved by supporting the search for published as well as unpublished information on (1) stigma and dementia; and (2) anti-stigma interventions for dementia, in South Africa. If you have any references, web-links or documents to share, kindly forward these to Roxanne Jacobs at roxanne.jacobs[at]uct.ac.za. 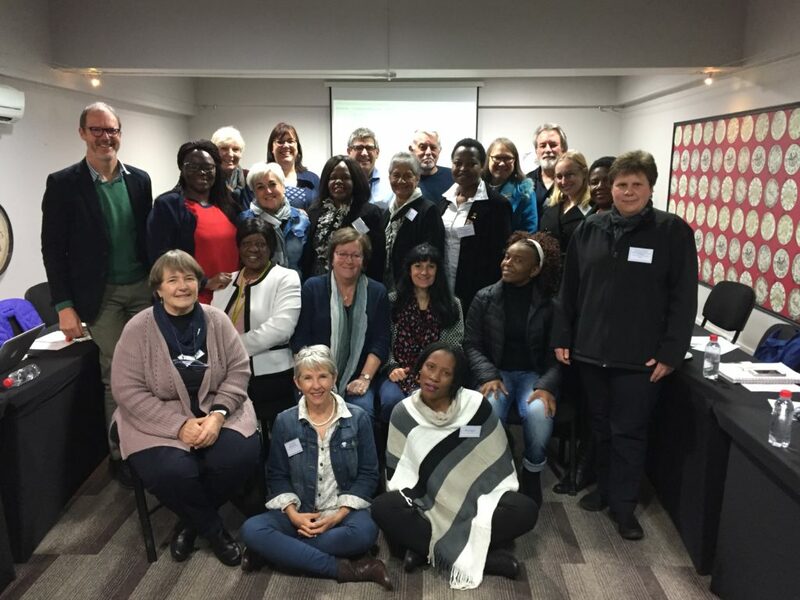 The desk-review topic guide development of In-depth Situational Analysis has been finalised and will guide the analysis of the dementia-care landscape in South Africa (as well as the other participating countries). Contact Margie Schneider(UCT PI) (marguerite.schneider[at]uct.ac.za) or Roxanne Jacobs (RRoxanne.jacobs[at]uct.ac.za) if you would like any further information. We’d love to hear from you!